Blank manuscript paper and a pencil are musician's necessities sometimes, no matter how much computers, iPads and other devices seem to be taking over writing down of music! 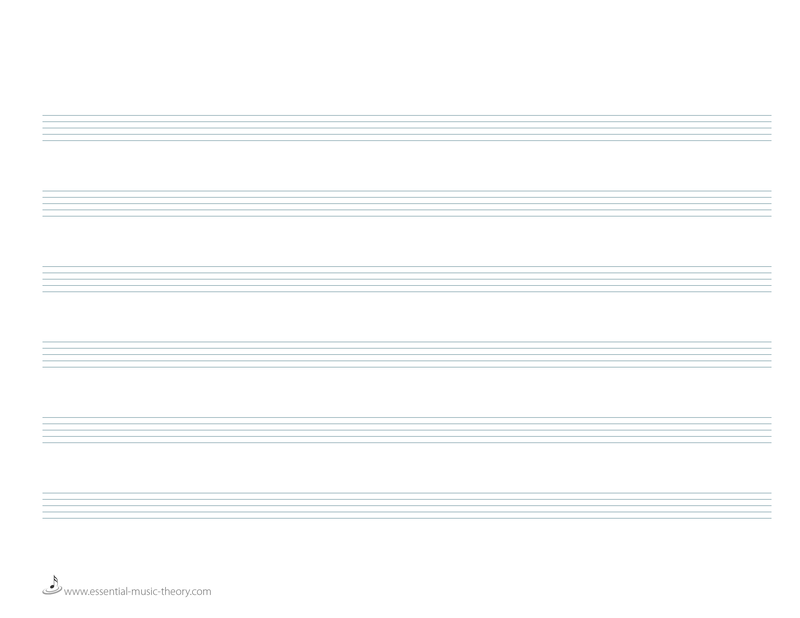 One of the problems with finding blank music writing paper online is that lots of it has very black staff lines. This makes it very difficult to see the notes you have written on top of them, especially if you have written in pencil. 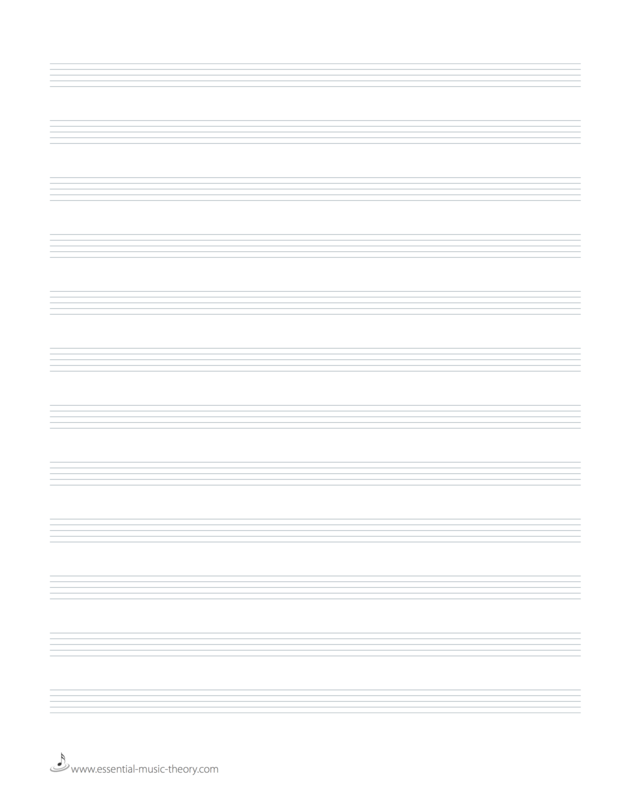 Blank music paper you buy in shops tends to have thin, light, blue-grey lines to make it easier to read the dots when you have put them on the staff. I have created the manuscript paper in various different sizes and formats so you can choose whichever is most suitable for you. 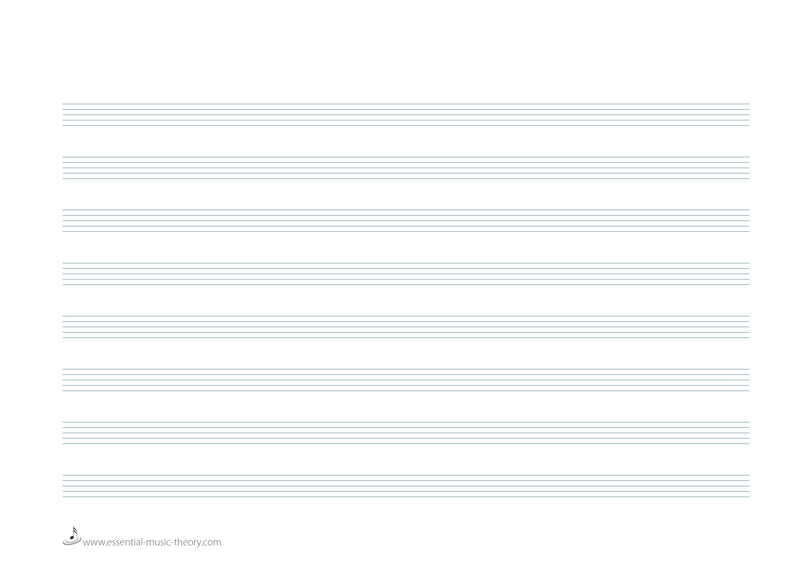 If you find you want a size or a format that isn't here just fill in the form at the bottom and let me know. I will try and get it to you as fast as possible. I know how annoying it can be not having the paper you need when inspiration strikes! 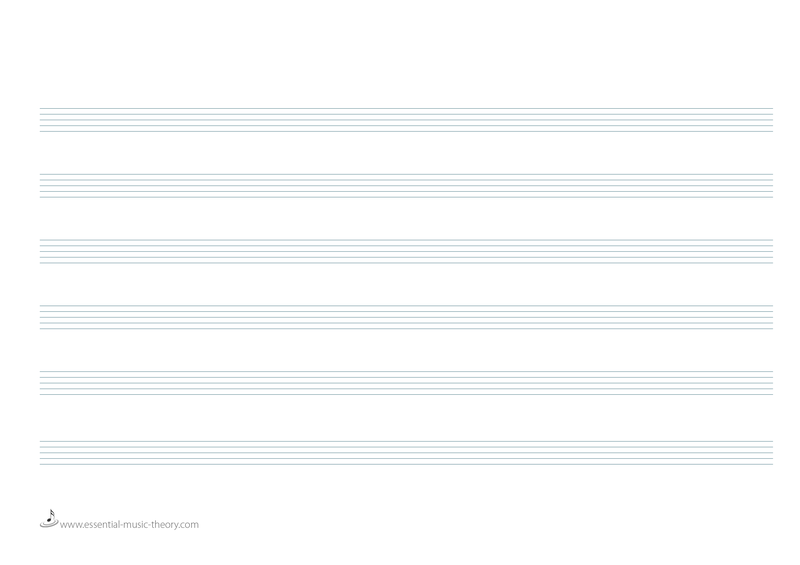 I actually find that writing music down on paper first really focuses my composing. . Sometimes Sibelius or similar software for computer or iPad can mean that I don't really think too much before I start adding lines, just improvising and editing to make them fit. 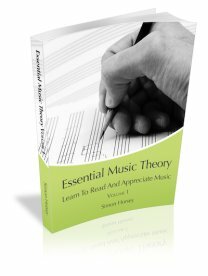 When using a pencil and paper I have to think far more carefully about the harmony, counterpoint and how I am using and developing melodies. The fact that I have to hear everything in my head, rather than Sibelius or a similar software package letting me hear an electronic version of the instrumentation also help, believe it or not! 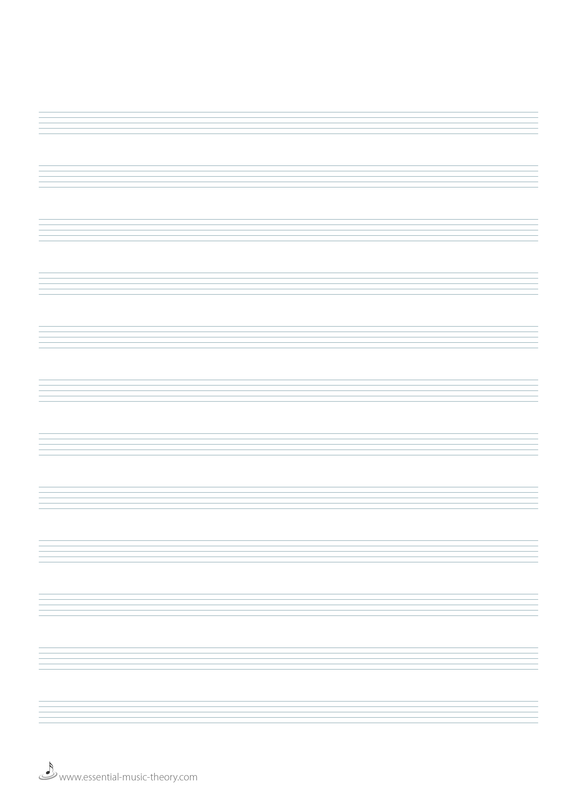 I think the 'orchestra in your head' is sometimes a more accurate representation of how a piece of music will sound than that generated by the (admittedly excellent) Sibelius sound set. The harmonies are also more deliberate because I am thinking about the chord progression carefully, rather than just improvising lines and seeing what harmony happens. With the improvisational approach (which there is nothing wrong with at all) I don't think you write harmonies that are as complex as you tend to follow a simpler pattern. I also find that hand writing music makes for much quicker arranging, printing out the original piece on a piano staff and annotating it before putting it into Sibelius. 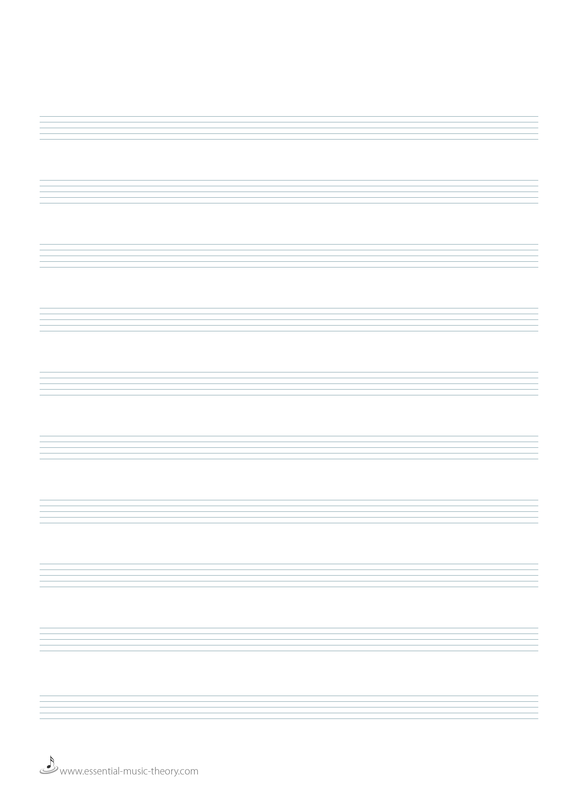 I tend to arrange directly into Sibelius, rather than write out the arrangements on blank music paper, although I do still sometime do this if there is a section that is troubling me. Give Hand Writing Music A Go! So if you are an avid Siblieus user on the Mac or PC or a NotateMe or Notion user on the iPad, take a moment to print some manuscript paper, get a pencil and try the old fashioned way. You may just find you enjoy it! 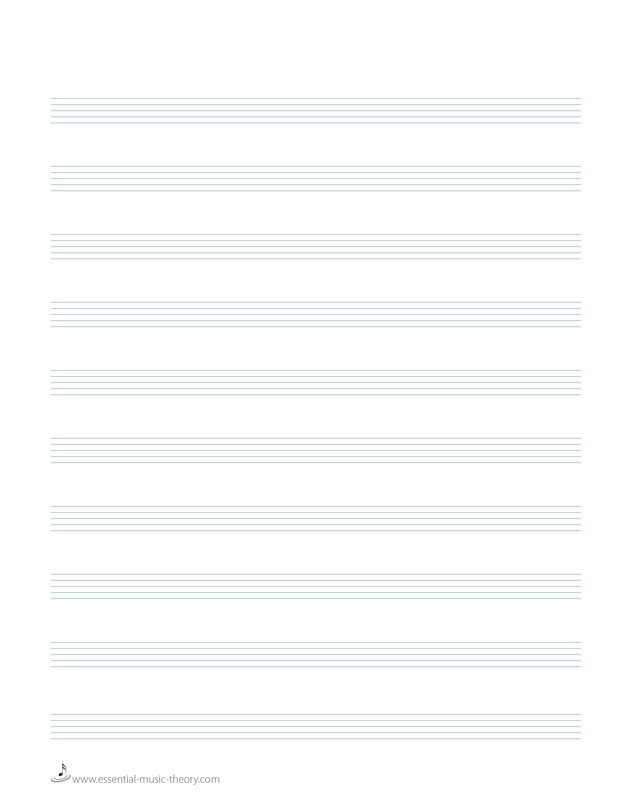 Blank music paper is available for download in both portrait and landscape A4 and US Letter format. You can download either a PDF or PNG format. 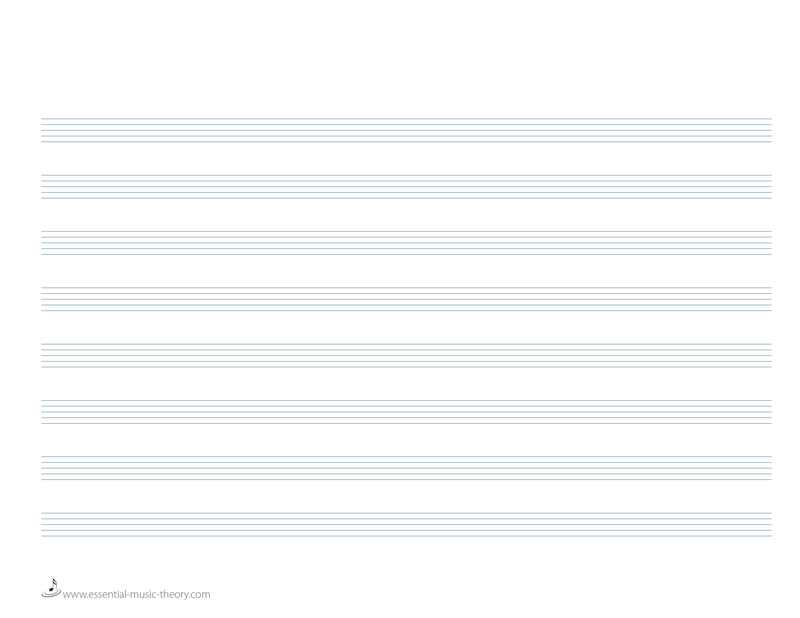 There are also 2 versions in terms of size of music staves. Standard 12 stave manuscript paper is at the top of the list, with a slightly larger staff on the 10 stave version which may be more suitable for beginners as there is slightly more space between the lines. The landscape format has either 8 or 6 lines. If there is a size/number of staves you need that isn't here just fill in the comment form and I will try and produce it for you.